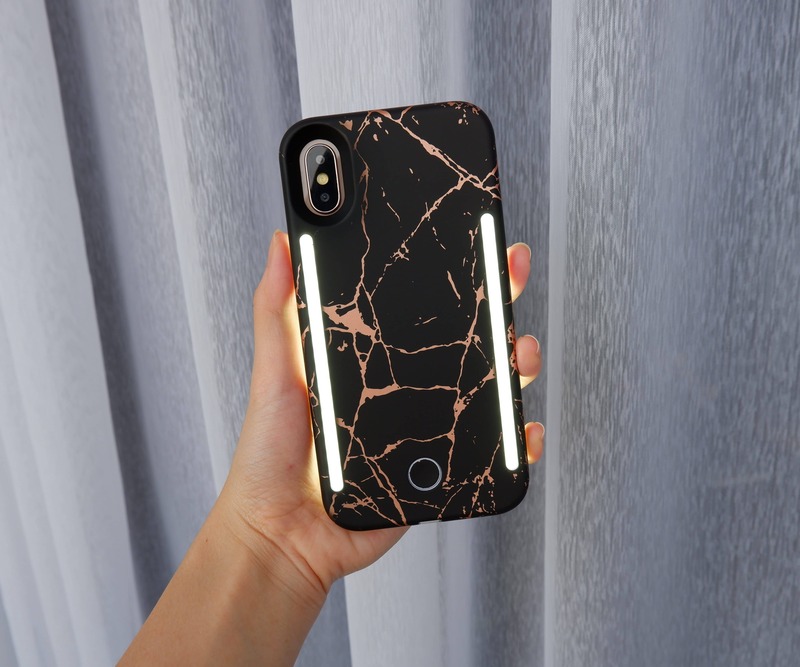 Built-in front and back studio lighting for the perfect selfie! 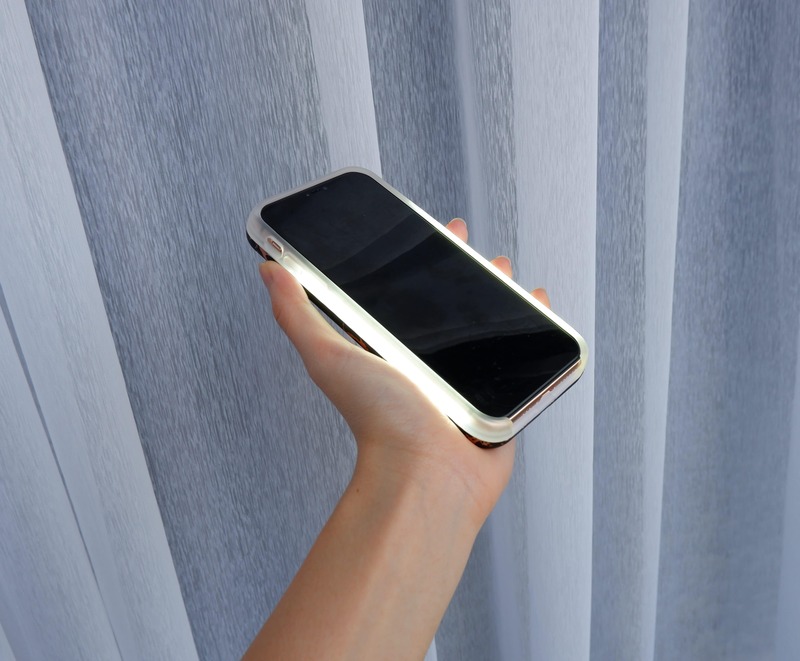 Press on button once for front light, second press for back light, third press for both lights and quick 2 presses for blinking party light. 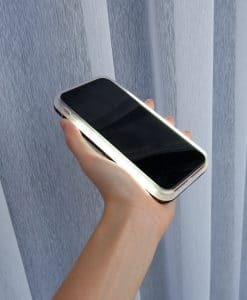 #MakeItMine. 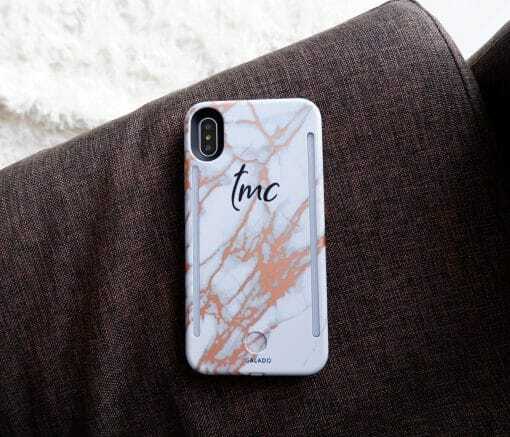 Print your initial on this case. Type your initial *Maximum 3 characters. 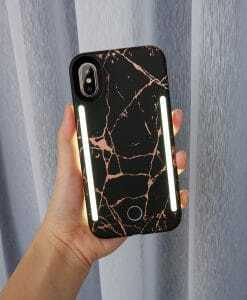 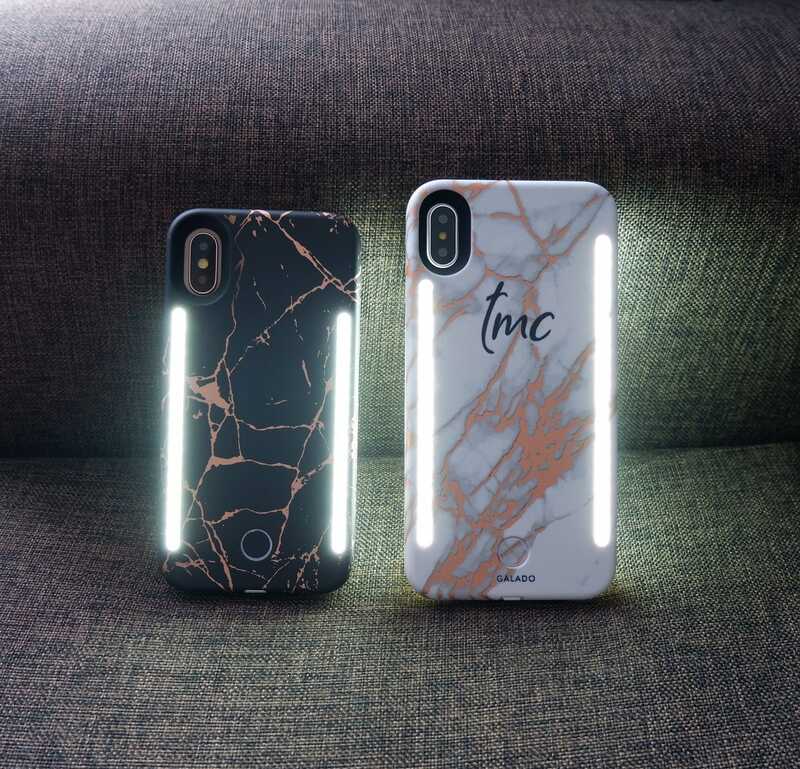 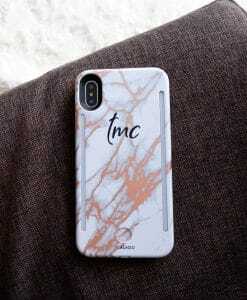 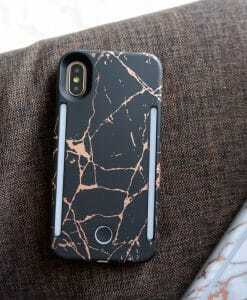 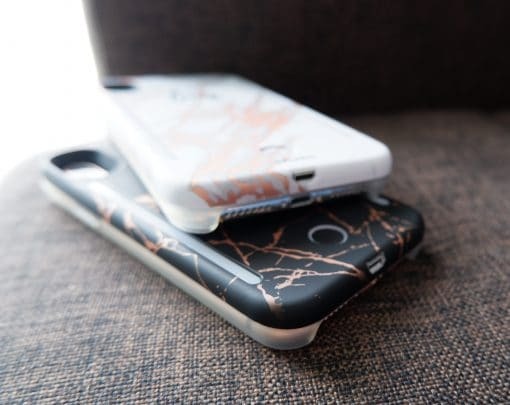 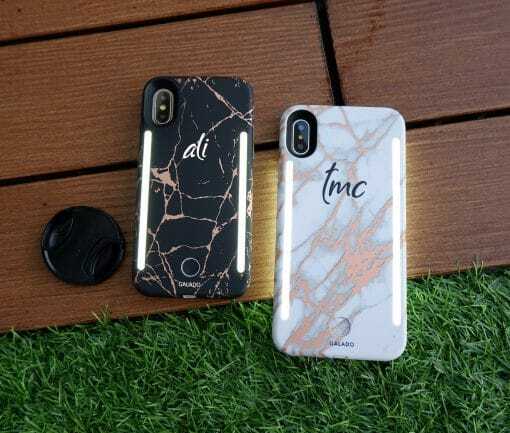 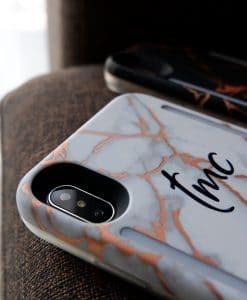 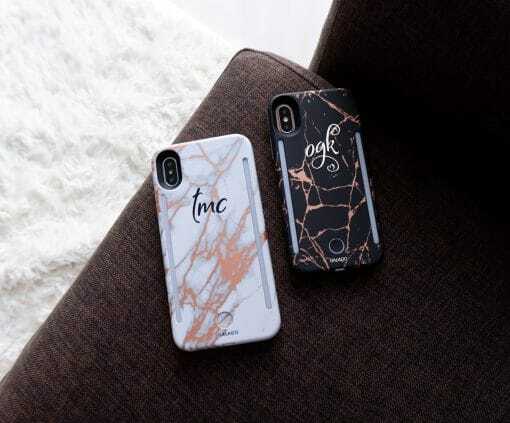 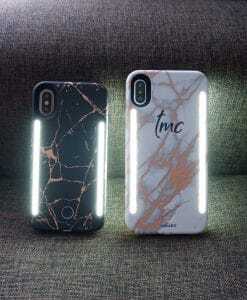 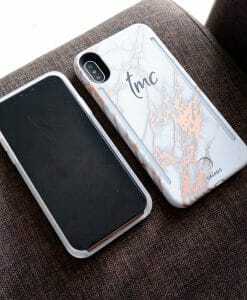 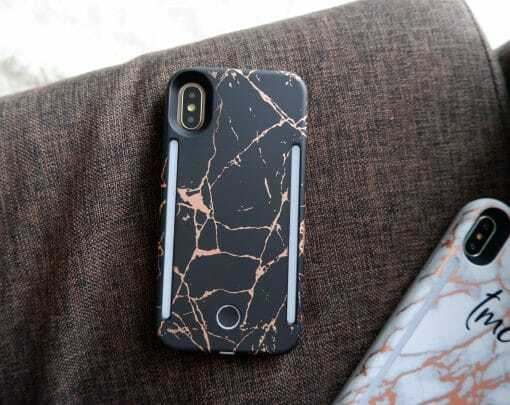 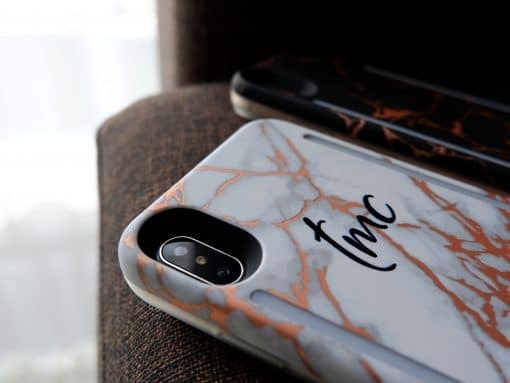 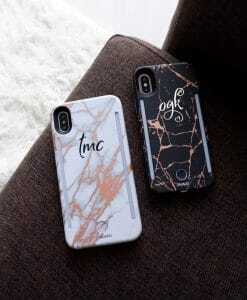 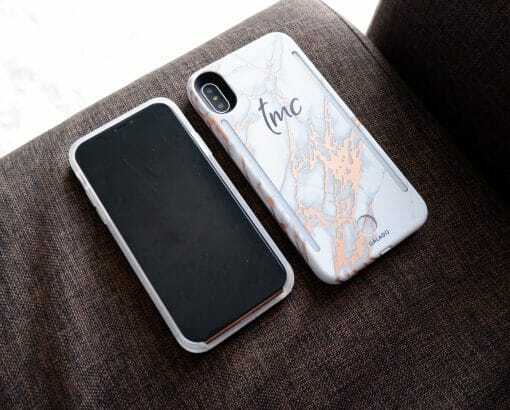 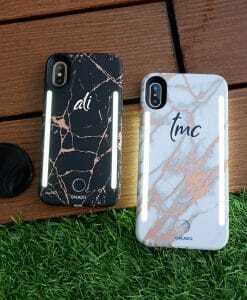 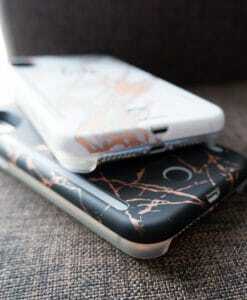 Black marble case will print in white font and white marble case in black.